Gibson Dunn | Bertero, Karen E.
Karen E. Bertero is a partner in the Los Angeles office of Gibson, Dunn & Crutcher. Ms. Bertero’s practice focuses on mergers and acquisitions, capital markets matters, securities regulation and corporate governance and general corporate counseling. She advises clients in a variety of industries on SEC matters, mergers and acquisitions of both public and private companies, public offerings, Rule 144A debt offerings, private placements of equity and debt securities and venture capital investments. Ms. Bertero graduated in 1981 from the UCLA School of Law, where she was a member of the Order of the Coif. She did her undergraduate work at the University of California at Berkeley, graduating in 1978 as a member of the Phi Beta Kappa honor society. Ms. Bertero has served on the firm’s Management and Executive Committees and recently completed a term as the Co-Partner in Charge of the Los Angeles and Century City offices. 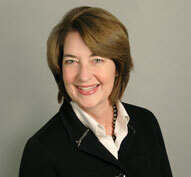 Ms. Bertero is a member of Gibson, Dunn & Crutcher’s Compensation and Diversity Committees. Ms. Bertero is a member of the Business Law and Antitrust Sections of the American Bar Association and of the Business Law Section of the State Bar of California. Ms. Bertero is a frequent lecturer at programs on capital markets, merger and acquisition and corporate governance matters. She was named as a “Best Lawyer” in Securities/Capital Markets by The Best Lawyers in America from 2012-2019.